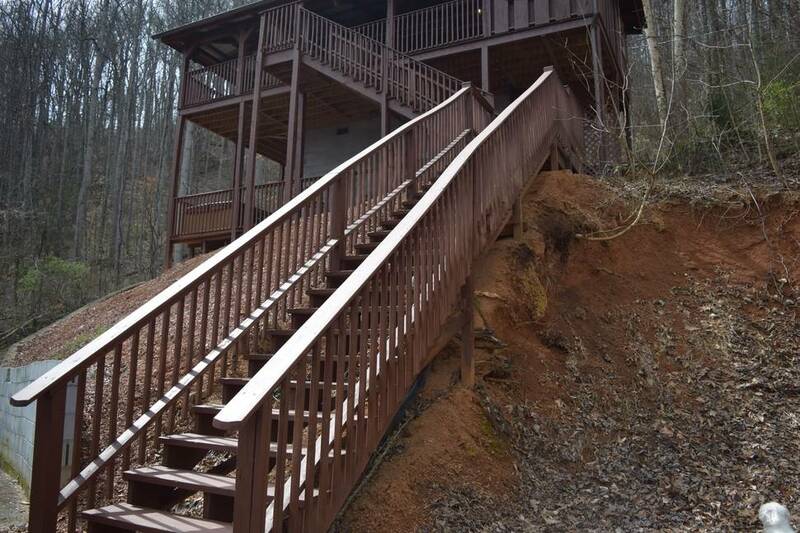 Don't let the steps keep you away from this one room studio cabin is located in a small log cabin community close to the main Hwy in Townsend, TN called Timberwinds Resort. It features a Queen size comfortable bed, a gas fireplace, living area with TV/DVD/Satellite, whirlpool bathtub and fully equipped kitchen. The bathroom is a separate private space with a stand up shower. 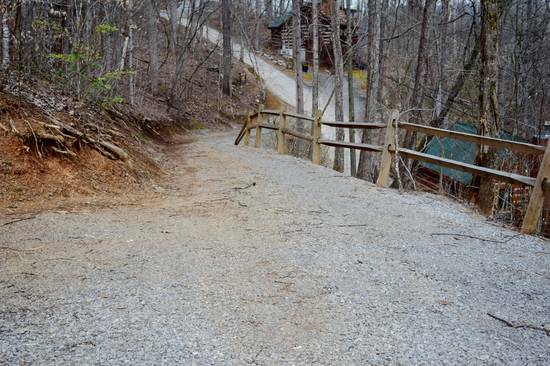 Copperline is a wonderful place to spend your next couples getaway to the Great Smoky Mountains National Park and Cades Cove. Just 3 miles to the entrance to the park, it only takes a few minutes to arrive. For your enjoyment, the resort also offers access to the community pool which is walking distance from the cabin. 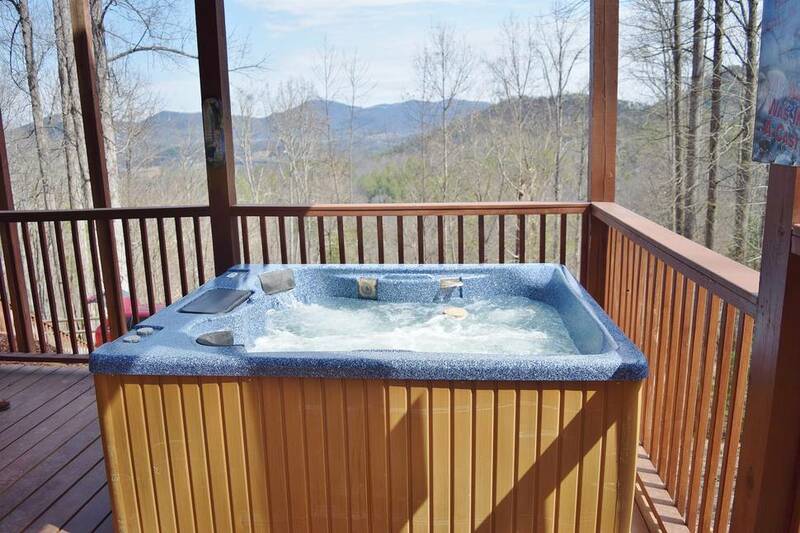 It also has a private hot tub for your use on the back deck of the cabin. Rates start at $95.00 per night. 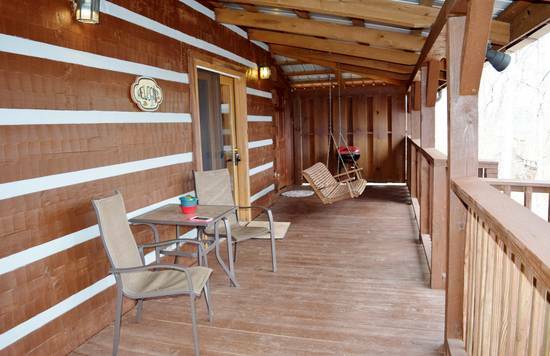 Access to this cabin may require 4 wheel drive vehicle in inclement weather. Everything was awesome about the cabin.. It felt secluded even though we had fairly close neighbors and had a beautiful view. We loved the front porch sitting out there and enjoying the beauty of the mountains. The inside was well furnished and clean ..would definitely come back again! 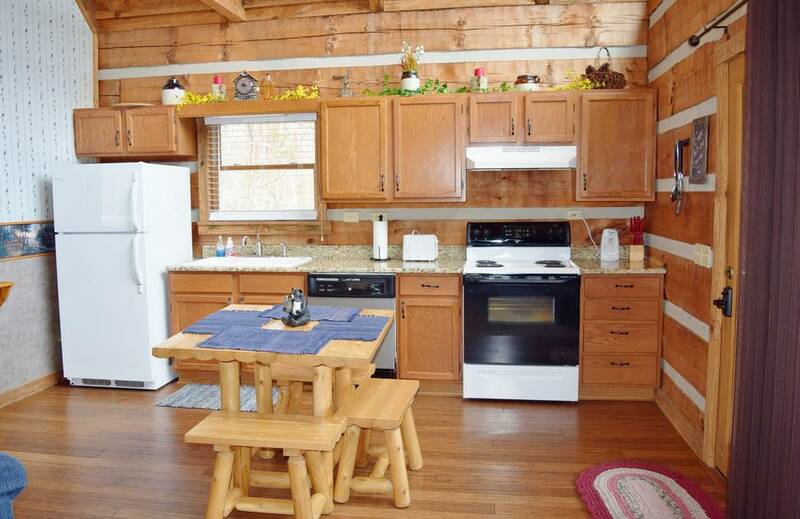 My second studio/efficiency rental with Smoky Cabins and I preferred this one over my first. Cabin had plenty of light due to the high ceilings and many windows. All electronics and appliances worked well, the bed was comfortable and it was private. It was also spacious for a studio. My only negative was the difficulty of turning in and out of the driveway, which requires careful maneuvering. This is a awesome property & we had a wonderful stay! Lots of steps but totally worth the climb!! all around great place we loved every minute of it. Best week we could have ever asked for. Cozy cabin! The driveway was a tad scary but after a day or so it was manageable. The view was incredible! Plus the kitchen and lighting was wonderful. Very beautiful view of mountains and beautiful around cabin. Last 100 yrds to cabin is scary when wet; you probably need a four wheel drive to feel safe driving up to the cabin. 1. Cabin was great. I would invest in a larger TV set eventually, and upgrade cookware and dishes. Everything else was great. 2, Cabin was very clean and cleaning person was nice and very friendly. Give her a raise. 3. I would recommend this cabin and Smoky Cabins in general. We will staying with you again. Management Response: Thank you so much for the suggestions. We are looking in to it. Thank you for staying with us as well. You are welcome to come back anytime!! Great place! Definitely would stay here again!!! Had an excellent stay here. Would recommend to anyone wanting to vacation to the smokies. Absolutely beautiful cabin! You will not be disappointed if you’re looking for a relaxing getaway. 4 wheel drive is a MUST!!! 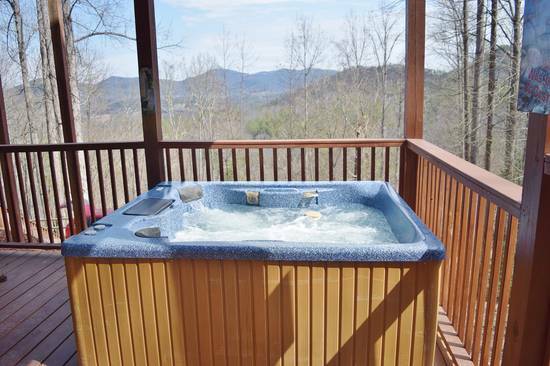 Hot tub was awesome at night looking up at the stars. Will be coming back! My family and I absolutely loved our stay. Everything was great from the view to the pool. Cabin was very cozy and warm. Townsend is such a special little town and very easy to get around. Definetley will return. Amazing! Had everything we needed and more! 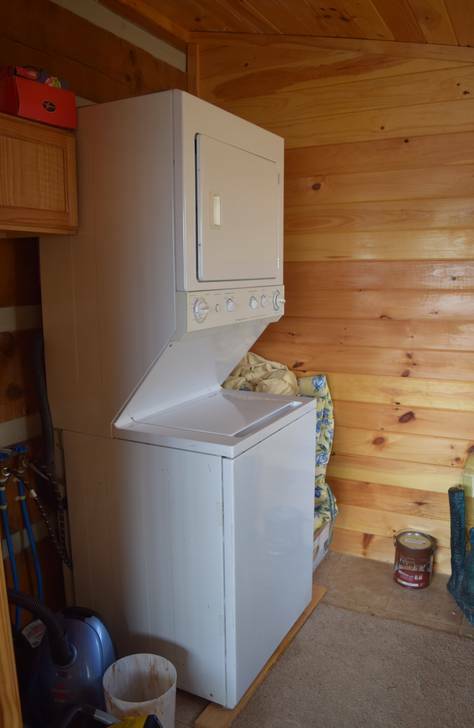 Very clean and cozy! We were very pleased about copper line it was wonderful. It was just a great time. The view was nice,and relaxing. Very clean. The highlight of cooperline is the amazing views. 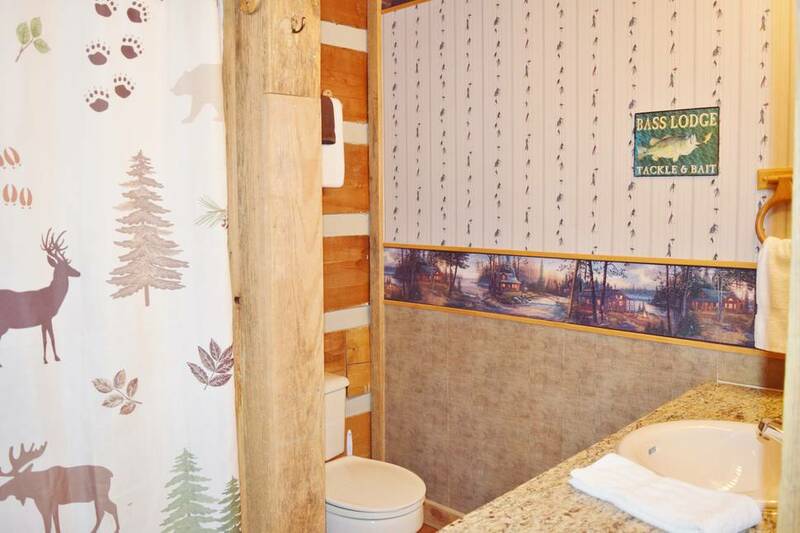 I would think to really enjoy the cabin experience it would be best to stay for at least three nights. Especially since you only get to enjoy the cabin your last day till 10am. We had two owls that stayed at our cabin that were so fun to watch. Clean cabin. Customer service was always available and very helpful when I called the help desk. Cabin was great! Very clean when we arrived. Nice and quiet, great view! 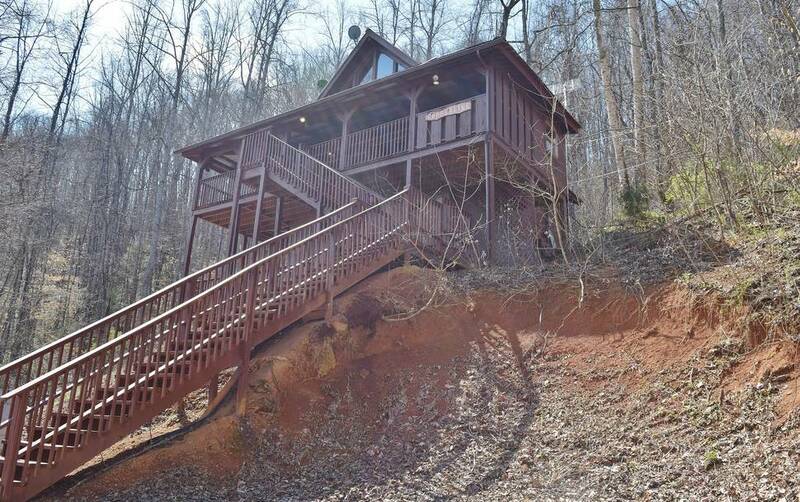 Overall Copperline is a great little cabin, perfect size for a couple. The roads and driveway up are very steep and intimidating but well worth it when you arrive. There are alot of stairs up to the main level but well worth it, the view is beautiful!! My husband and I were there for our wedding anniversary and his birthday. The hot tub was our favorite part. The kitchen had everything we needed, although the pots and pans need to be replaced, very used and old. The bathroom was very clean, all the linens were extra fluffy and not stained at all. All the touristy attractions are very close but far enough away you feel secluded. We got to use the fireplace which was nice, gas so it was super easy to use. 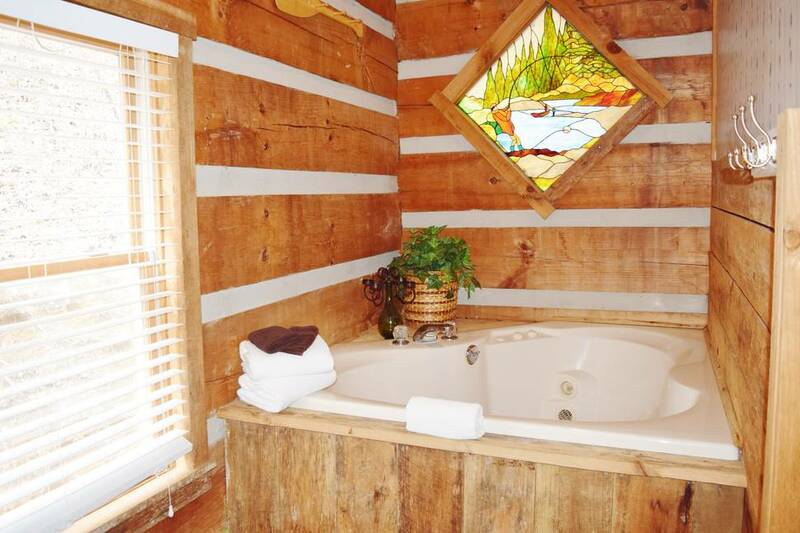 We would definitely book through Smoky Cabins again, they were very polite and helpful when needed. 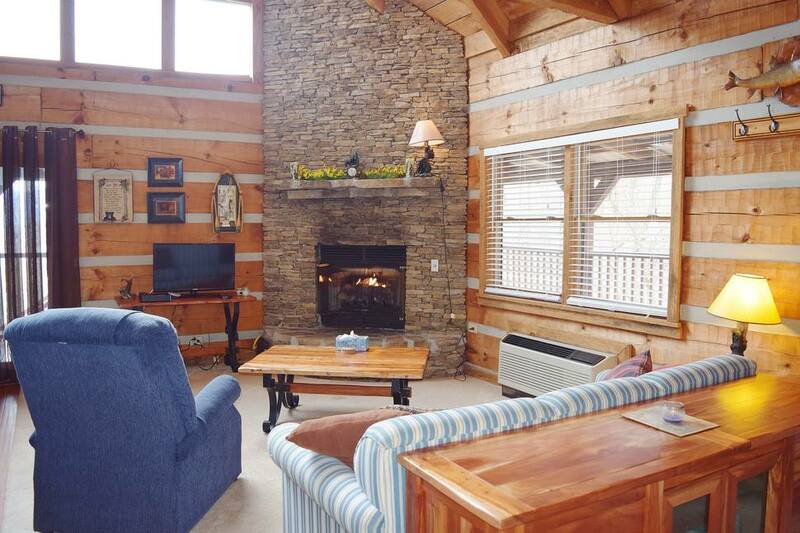 It is a wonderful cabin, and provided a great stay. The only complaint we had was that it was very difficult to find the correct road once we got to timberwinds way. And 4x4 vehicles are a must. Overall, once we got there it was a great time. Loved our stay here! It was a little hard to find as the small roads in the resort aren’t marked really clearly, but we eventually found it. The driveway was super steep and covered with wet leaves so without 4 wheel drive we wouldn’t have made it. 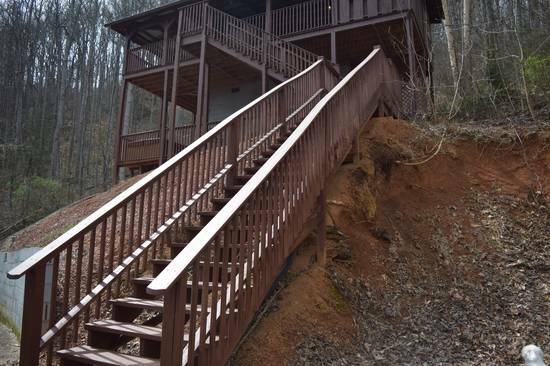 The stairs are really steep to but my husband and I are young and in good shape so it wasn’t an issue for us. The cabin was clean and everything was in good working order. The hot tub outside was very nice as well as the indoor jacuzzi. We enjoyed the gas fireplace as well. Overall we had a very enjoyable long weekend and would book this cabin again. It’s a great place to get away! Management Response: Thank you so much for staying with us Erin! !